All this talk about water waste, how much we use and how to cut back. 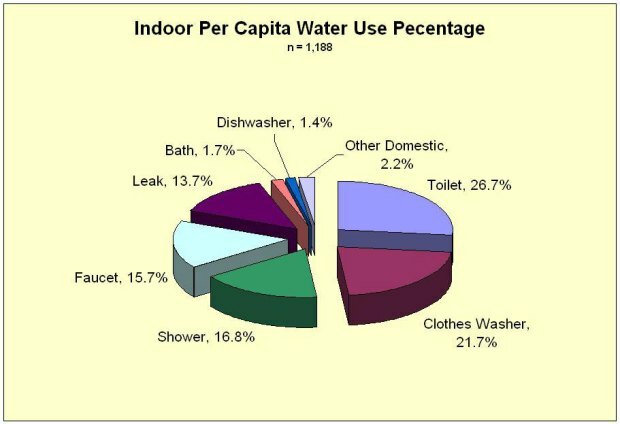 Have you ever wondered about where the water in your home goes? A study from the Alliance for Water Efficiency breaks down exactly what happens every day when you turn on the tap, flush the toilet or let that dripping faucet keep plopping. Mobile Users: Click here to view graphic.